Biochemistry is the organic chemistry of compounds and processes occurring in organisms. Histocytochemistry is the study of intracellular distribution of chemical, reaction sites, enzymes, etc. by means of staining reactions, radioactive isotope uptake, selective metal distribution in electron microscopy, or other methods. This book focuses on the role of norepinephrine in neuroinflammation, discusses the contribution of norepinephrine to Alzheimer's (AD) and Parkinson's Disease (PD) and provides an overview of potential therapeutical options targeting this neurotransmitter. Using methodologies such as questionnaires and laboratory tasks, experimental results showing specific effects related to noradrenaline in both clinical and experimental studies are described. This book also provides the current findings on the relationships between sympathetic nerve activity, B-adrenoceptor polymorphisms, and renal function. Recent methodologies that are useful for advanced immunohistochemistry (IHC) analysis in pathological research into therapeutic agents is also analysed. 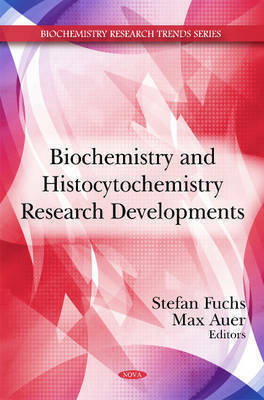 Other chapters in this book discuss the unresolved areas of plasma cell research, an analysis of a new technology based on B-Cell targeting and its advantages over conventional methods for selective generation of novel monoclonal antibodies, as well as a review of the regulation of proteases and their role during the biocontrol process. Recent advances in the isolation and characterisation of glycosidases from hyperthermophilic microorganisms and the methods used for their application in oligosaccharide synthesis are explored as well.